Arriving in Venice the 27 degrees Celsius hits me in the face quite hard, even though it is only around 9.00 in the morning when the night train from Munich come rolling into the St. Luzia station at the Venice island. At first Martin and I almost disembark at the wrong station, Maestre, which also is Venice but main land. After a short stressful moment the island of Venice appear, and that is where we are going. Even though we are not checking in to the hotel until 14, we head for the hotel Bargarin at Campo. S Marina. With sweat dripping everywhere, smelling, we drag our assess into the Italian hotel. The receptionist looking suspiciously at us. ”Name, please”. After giving the name the service start to flow and such much better service. The guy gives us water, breakfast and repeatedly say ”You room will not be ready before two” and we answer the same number of times ”We know, we just want to sit here”. After 20 minutes he comes back and says ”Your room will be ready in an hour” and we are given our room three hours early. Either it was our smell or it was as the fantastic feeling of service given by a well dressed Italian man to two not well dressed poor looking Swedes. Price for the hotel two nights, around 230 euros two persons. We also payed a tax of 3 euros a day and person. After we find a rough guide of Venice in the hotel left books collection we head out wearing jogging shoes, highly recommended when backpacking. My feet isn’t sore yet and most likely remain in a good condition as long as I use them. Walking the streets of Venice you must certainly will need them. The island might be small but there will be a lot of wrong turns. Our hotel is placed somewhat north west of St Marcus square, in-between it and the Rialto bridge over the Grand Canal. For our first day we headed towards the Rialto bridge, over it, along side the Grand Canal going south on Riva del Vin, crusing the streets to Campo s.ta Margherita. Our first meal consisted of a breakfast for 13 euros per person, severely expensive for a Swede. One of the most common things people have to say about Venice is expensive and not that great food. The second meal we had was at Campo S.ta Margerita at Osteria Alla Bifora. For 33 euros we got two dishes and two glasses of local wine. Not that pricy but this restaurant wasn’t close to the normal tourist areas. After a while we found the service to be poor when not speaking Italian and our last meal was also the best, at Hard Rock Cafe close to St. Marcus square were we were treated as humans (well that and the 3 euro pizza at the island of Murano). We tried to eat at Il Ridotto, a Michelin star restaurant which have lunch for 28 euros, but after trying three times we gave up, maybe we weren’t fancy enough, maybe they only served Italian people. After the quick evening meal at S. ta Margherita we continued towards Ponte de l’Accademia. This bridge is easily spotted with wood underneath and is as the Rialto Bridge, one of the bigger bridges going over Grand Canale. I have no idea how many more bridges there is but it certainly feels like it is one in every corner. Almost all bridges work as photo boots and when walking around there is a hundred selfiesticks per bridge and it is intriguingly entertaining. I had to stop myself from shooting to many photos of tourist holding these. Shooting photos of tourist is one tip for photographers and why not try out street-photography style in Venice? Focus on people, because there is a lot of people in the streets all the time. If wanting to shoot normal tourist photos I suggest one of the bridges, I passed Ponte de l’Accademia when the sun was setting and the sunset must be the best time for photos here due to the golden light that hit the pastel coloured houses creating the romantic atmosphere you want. In Venice there is no cars. Martin and I walked the entire time and that is possible. When heading to the islands around Venice or around the Venice island and through it is also possible to go in public boat transport known as boatbus. For 20 euros you get a 24 hour pass that will take you to all islands and around the Venice island. There is also the possibility to go by boattaxi, which is more expensive, or on a gondolier tour. Martin and I only went with public transport and was totally satisfied with that. The boats leave on a regular schedule. The main tourist attraction is the square. The square go back a long time. In the ninth century nuns occupied the area. Napoleon, in his time, is suppose to have said ”the finest drawing room in Europe”, when talking about it. Maybe not entirely true today, when fighting for a small space among thousands of tourist, but either way, beautiful it is. It is easy to believe that tourist filling the piazza is a new thing, not more than twenty or thirty years or so. This is not true though, the piazza has always been crowded by foreigners, as merchants and travellers, that at the time was cursed as ”the monsters of the sea” by the Venezians. Walking from Ponte de l’Accademia you reach Piazza S. Marco from the west. If every road leads to Rome, every road in Venice leads to St. Marcus square. At least if to believe the signs, which only points here, more or less. At the square you have all street photo opportunities in the world. Here children play, tourist is robbed on all their money from street sellers of all sorts (this year being the selfiestick but still classics as fake bags exist). The square is flooded on a regular basis and even if the worst rain season was over when we arrived the square flooded a bit every day, giving the possibility to magnificent reflection photos of tourists or the orchestras that still play Andrew Lloyd Webber tunes from the cafes around the square. Most tourist might come for the Basilica, but they certainly come equipped with a camera. From the square there is only a hundred meters or less to the closest gondoliers and from the shoreline to the east you can take the bus boats to the northern or southern Venice islands or as we did the first day, just shoot photos of the boats. # Street photo possibilities in every corner, take fantastic photos when the sun is rising or setting on the small bridges or the big ones as Ponte de l’Accademia. # Shoot photos of lined gondol boats at St Marcus square. # Shoot reflection photos of tourist at the square at late evening or night. # Try getting a bit further away when shooting and avoid zooming. If possible skip the zoom lens and go for a prime. We all go to close when shooting and with a prime you learn to see the distance and where to shoot the best photos. Avoid being in the crowd. # Churches are fantastic but a lot of them have photo prohibitions, respect that and let the camera rest. # Turn of the flash and forget where you turned it off and never turn it on again. It is disturbing for everybody, especially with thousands of photographers in the same square. 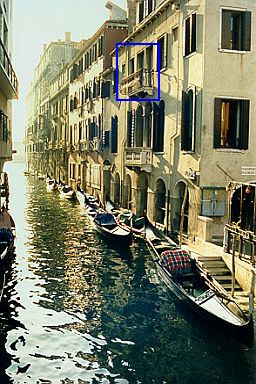 Source- some of the facts are from Venice- the rough guide by Jonathan Buckley and Hilary Robinson from 1993. Found in the hotel in Venice. SUPER post, Katarina – really wonderful. Verkligen! Kan inte nog mer än säga att jag gillar det skarpt!